Choose Peter Kellers Hand Engraving for all your custom engraving needs In Perkasie, Pennsylvania. In colonial times the silversmith, Paul Revere, was renowned for his hand engraving. Peter Kellers follows in this venerable tradition. Contact us to learn more about our hand engraving. Some of Peter's finest work has been done in restoration of antiques that he brought back to life when they were badly worn. Berry Spoon - This antique berry spoon from 1850 was re-engraved after the lovely design was badly worn. 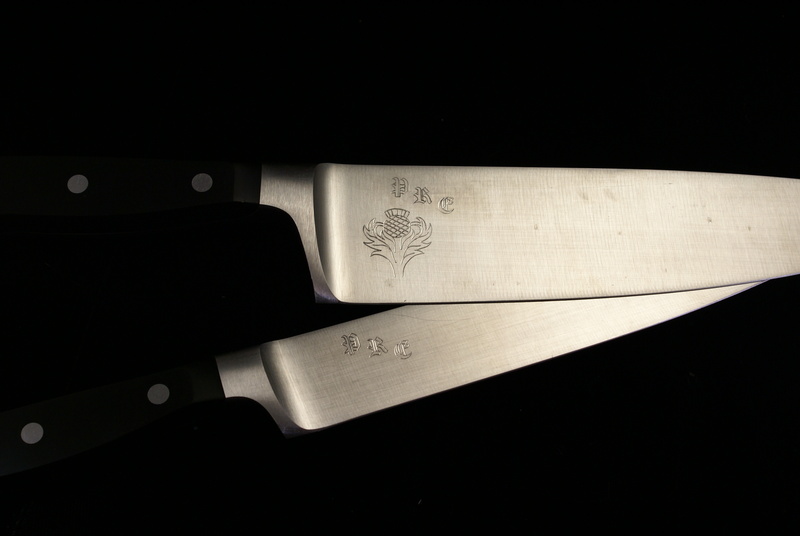 Culinary knives - a culinary arts student asked Peter to engrave his valuable knives, personalizing them against theft. Instrument Panels - One of Peter's most interesting projects has been to re-engrave the readings on the instrument panels for several antique airplanes that are being restored . Cake Knife - A daughter's name was added to her mother's wedding cake knife to be given as a gift on the daughter's wedding day. What a lovely gesture. 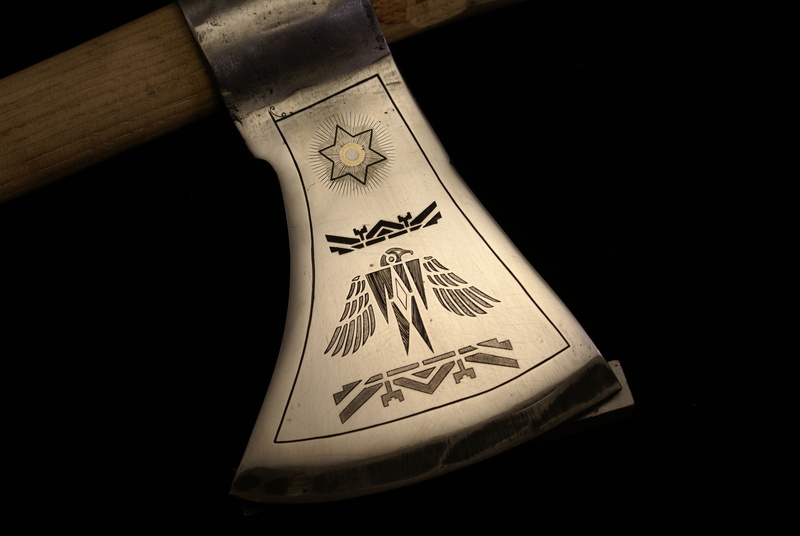 Tomahawk - The tomahawk shown here at left is a commercial piece, decorated and suitable as a gift for the outdoorsman. 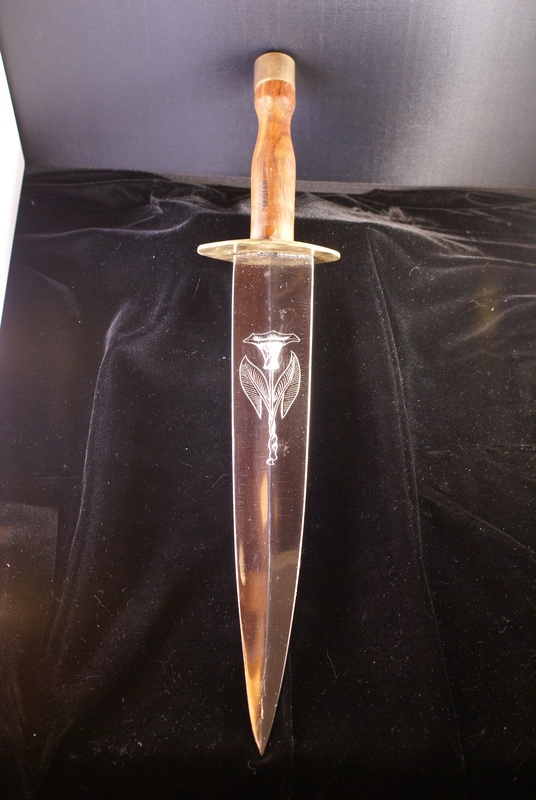 Arkansaw Toothpick - A collector would be delighted to have a replica like the knife shown below in a collection. The engraving makes it very special.